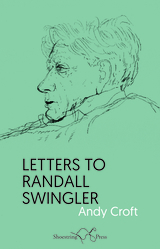 Randall Swingler was a poet, novelist, librettist and editor of the radical literary magazines Left Review, Poetry and the People, Our Time, Arena and Circus. During the Second World War he served with the 56th Divisional Signals with the Eighth Army in North Africa and Italy. He took part in heavy fighting on the Volturno and Garigliano rivers, at Monte Camino and on the Salerno and Anzio beach-heads. For his part in the battle of Lake Comacchio, Swingler was awarded the Military Medal. His collections The Years of Anger (1946) and The God in the Cave (1950) contain some of the greatest poems of the Italian campaign. After the War, Swingler was blacklisted by the BBC. Orwell included him in the list of names he offered the security services. Stephen Spender attacked him in The God that Failed. In 1956 Swingler joined the editorial board of the New Reasoner and was on the founding board of New Left Review. Written in ottava rima, these letters bring Swingler up to date with developments in poetry and politics in the fifty years since his death, addressing issues of biography and literary reputation, the Second World War, the Cold War, espionage, the War on Terror, and the rise of right-wing populism. Is wrapping chips on Proxima Centauri. A bit of help to bring you up to speed. Which only the most venomous can win. Of trying to conjugate the verb brexire. Or else the evil liberal élite. Bramo, bramas, bramat is obsolete. Afraid and full of hate! Who gives a toss? And who dare say, brerubescamus nos? From Washington to the Élyseé Palace. Though nobody’s allowed to call them. We need not spurn the prize to win the dust. A bully who believes that he’s the victim. Of fear and hatred pumping round the brain. Of Davros, Vader, Mekon, Ming and Hynkel. That tells them they’re the smartest of them all. The fragile self-love of the Donald’s brain. The pen will prove more mighty than Le Pen.